True, my quest to sample and write about good beers is both noble and important. The magnanimity can be overwhelming, but I do my best. A rare roadblock has been overcome, and I’m thrilled to share the fruits of my labor: Oskar Blues Brewery. Yes, this is a very special edition of Drink This Beer; Not one, not two, but three spectacular beers from a single brewery. 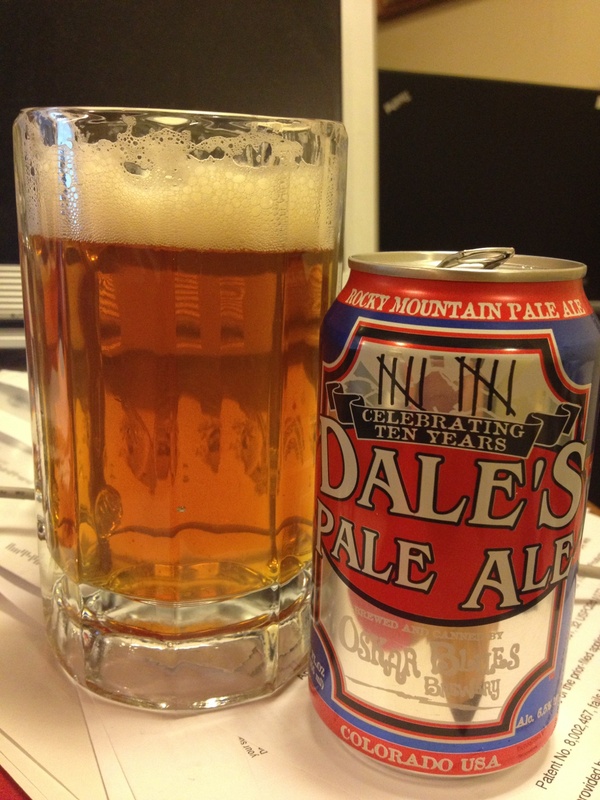 In the summer of 2010, the family took a trip to suburban Atlanta, where I first came across Dale’s Pale Ale. Having a lust for Pale Ales, it was an easy buy. Impressive from the start, with rich ale flavors and a wonderful hop finish. Who knew something so good came in a can? I couldn’t find it in St. Louis with minimal effort, but no matter – many other beers to try. Fast forward to August 2012 and our biennial extended family vacation in the Florida panhandle. Glass bottles are a no-no on the beach, so how fortunate was I to find a glut of Dale’s in the overpriced beer bodega attached to the Winn-Dixie! Many were drank and good times were had. Upon my return to St. Louis, I talked with the local beer store clerk who had some unfortunate news for me: Oskar Blues beer is not available in STL. I’m no beer distributor expert, but that’s goddamned silly. Saint Louis is practically on the way from Colorado to freaking Atlanta and Florida. Can’t they drop off a few cases? I promise to buy some. Help me out here… I promise to buy a few six packs a month of this fine beer with an epic national reputation if you can just drop off a skid or two locally. I will avidly spread the word if you can distribute here. If you already distribute here, please let me know where I can go to buy some quality canned beer. Thanks! Thanks for reaching out! 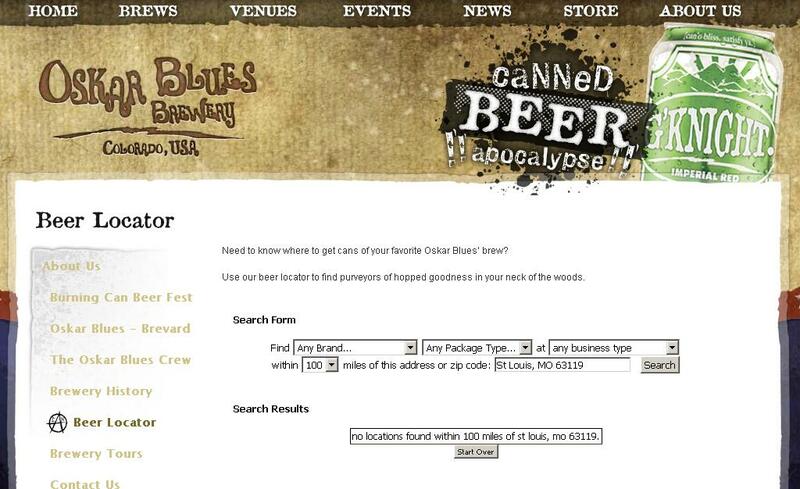 Unfortunately they are right, we still have not started distribution to St. Louis but it is on our list! We have started the process of opening a new brewery in North Carolina and this will help with our distribution on the east coast allowing us to expand to new markets! We wish we could, but we can’t ship beer from our brewery. … Thanks for your support and stayed tuned for Dale’s Pale Ale in St. Louis! Too bad, so sad. 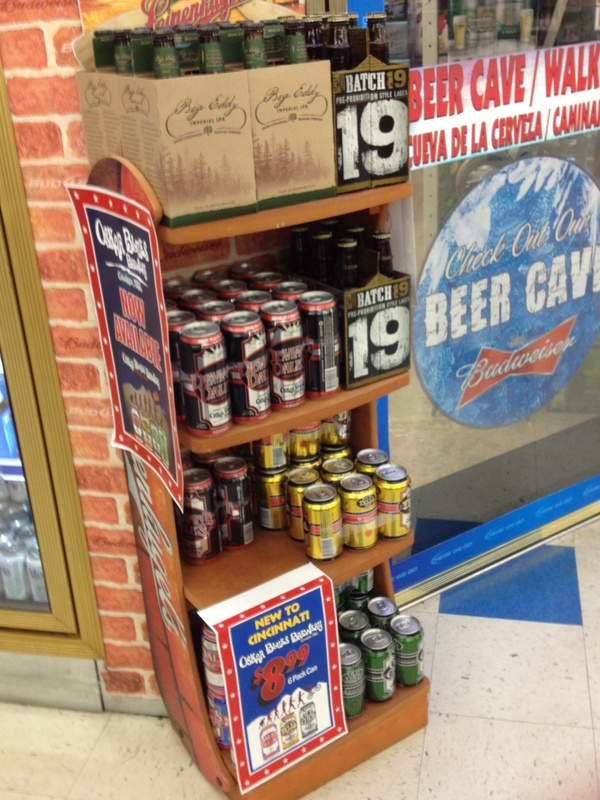 Times are tough in ABInBev country. New to Cincinnati but known and elusive to me. I bought three six packs to bring home: Dale’s Pale Ale, Mama’s Little Yella Pils, and Old Chub Scotch Ale. I’ll review each in turn. Briefly, I know that these are canned beers. I’ve only ever drank them from a can. But, for the sake of showing the full beer experience, I poured one of each into an non-frosty mug to understand the color, effervescence, and flavor more completely. 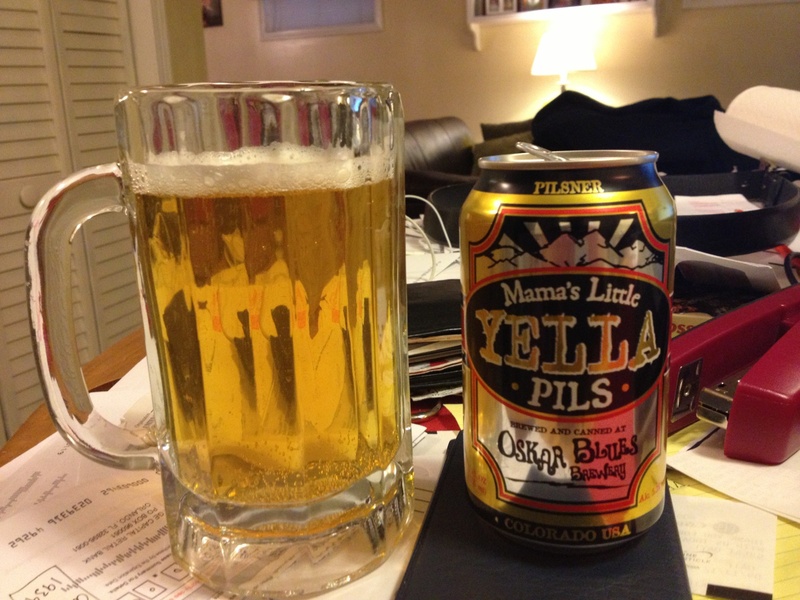 As you can (kind of) see from the photo, Mama’s Little Yella Pils is an opaque yellow with a hint of brown, having a minimal head. It’s a crisp, refreshing beer with a hearty malt flavor and very mild hop/grain aftertaste. One of the more refreshing pilsners I’ve ever had. The grain flavors are full and smooth, and the 5.3% ABV is right in line with pilsners. Why import some green bottle nonsense from Europe when you can get something better here? I consider myself a pilsner fan, but typically only the ubiquitous imports – Stella, Heineken, Amstel, etc. This, however, is superior to all of them. Delicious, drinkable beer. As a BBQ man, I can see a cooler full of these resting comfortably next to some chicken wings and ribs on the grill. Scotch Ales have been hit or miss for me. Each of Schlafly, McEwan’s, Sam Adams are good in their own rights, but I don’t reach for them amongst other beer styles. Snagging some Old Chub Scotch Ale is a little bit of a reach for me. Right away the deep brown color and thick head jump out of the can with the very mild Scotch Ale aromas. 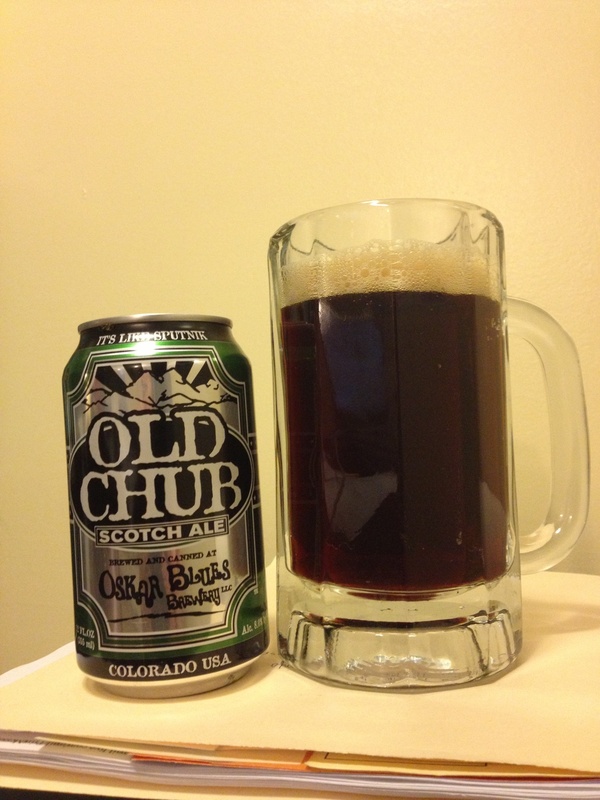 Compared to the aforementioned Scotch Ales, Old Chub has a restrained aroma, though the flavors are deep and strong. Whatever grain they use provides a strong smokiness and super-subtle caramel flavor, without any noticeable sweetness. I can’t place the extremely satisfying aftertaste, but it coats and lingers on the top of my palate and the back of my tongue. I’m both pleasantly surprised and kind of impressed how much I enjoy this beer. Better take it easy, though – 8% ABV. I honestly didn’t expect this beer to be this good. Wow. My white whale Dale; The Oskar Blues beer that started my journey to this blog post. Ten years of making great beers. I’m excited to open a can of this in Missouri. Did I break some interstate commerce law or violate a union contract importing this stuff across a few state lines? Who cares. Time to drink. The color is amber but with an orangeish hue, with a frothy, thick foam head that clings to the edges of the glass. I got a little sloppy with my pour. Classic hop aroma, something a little heavy-handed for a pale ale instead of an APA or IPA. Really, the most predominant note is the hops. They are present in a big way, but not overwhelming. It tastes like literally adding one more hop cone makes this an IPA. It’s a remarkably refreshing beer that I have enjoyed on the beach and at pork-laden BBQs. A canned beer for people who like good bottled beer. A pale ale for people who prefer IPAs. This was a wonderful beer drinking experience that will continue into the evening. I doubt many remain tomorrow. Unfortunately it seems that my next chance to experience Oskar Blues will be some kind of road trip, but, until that time, I will recommend that you Drink These Beers.